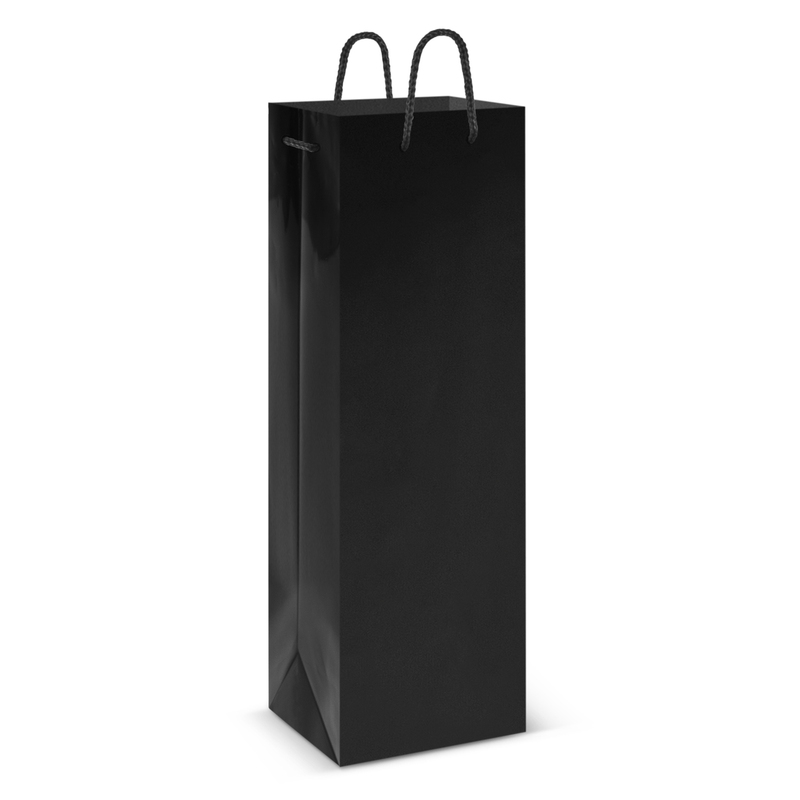 A laminated wine bag that features your printed logo in one colour. 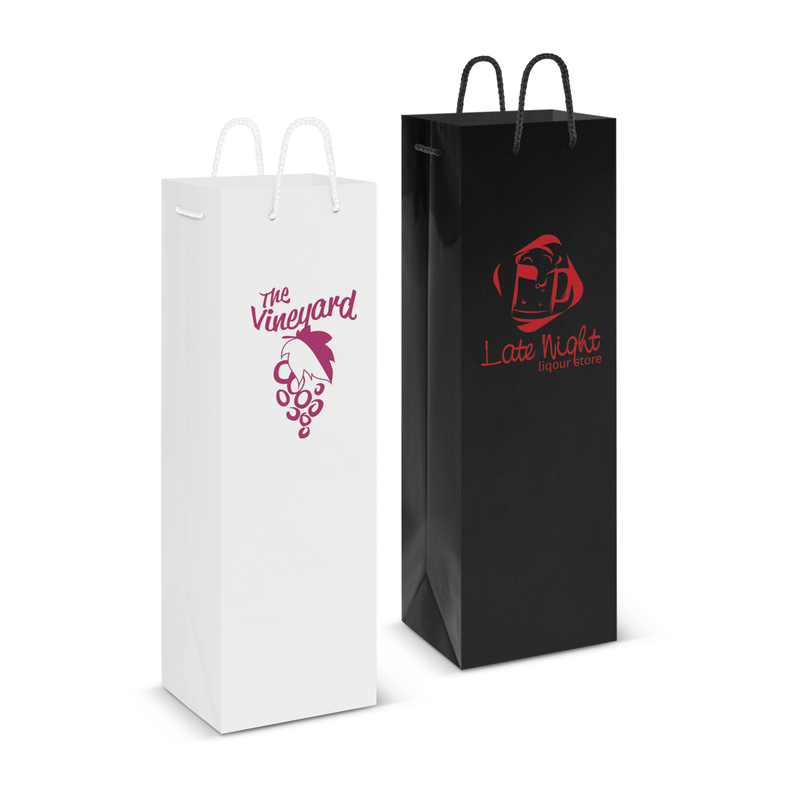 Looking for a lovely wine gift bag, or maybe you want to pair this one of our promotional wine bottles? Well the laminated wine bag is a fantastic choice. 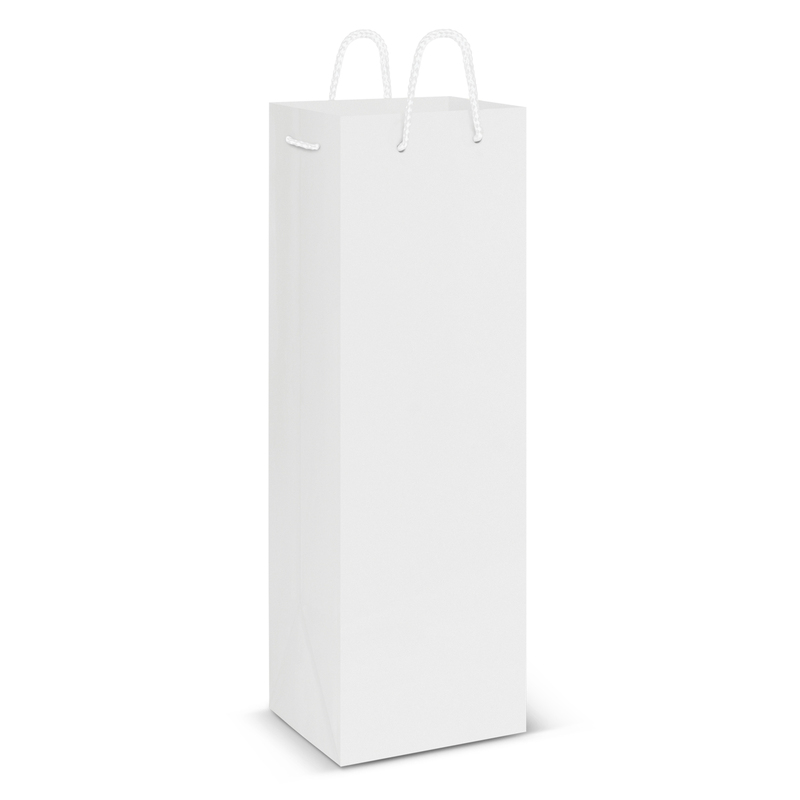 It hosts 157gsm laminated art paper with strong woven polyester handles.